Tour the planet's mightiest mountain ranges and meet the rare animals that inhabit them. Surveying the peaks of the Ethiopian Highlands, Andes, American Rockies, Alps, Karakoram, and Himalayas, the program explores the challenges of survival in mountain habitats for such animals as the walia ibex, giant panda, and demoiselle crane and even features never-before-seen footage of snow leopards on the hunt. 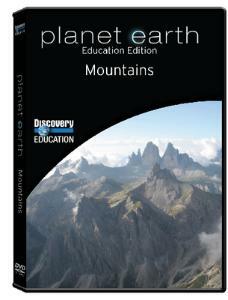 Mountain formation is discussed as the result of plate tectonics and volcanic activity, while mountain erosion is presented as the effect of glaciation and weathering. Running time: 42 minutes. Available to U.S. Customers Only.